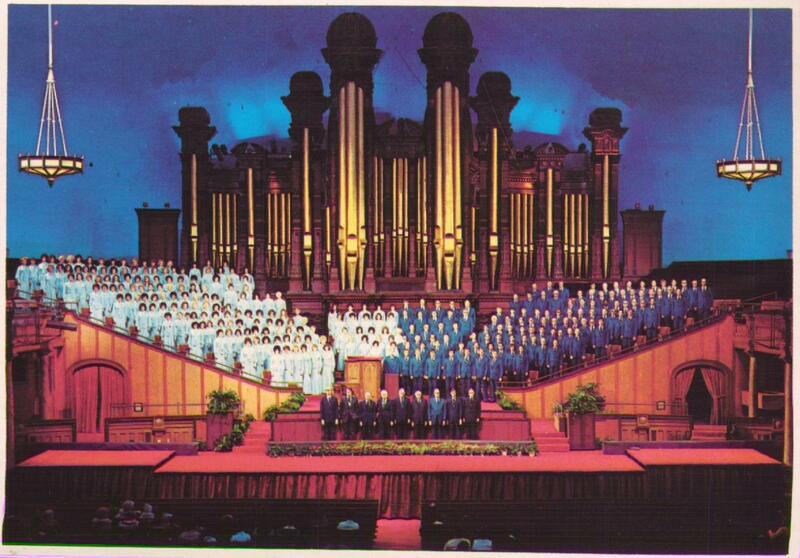 (LEONARD) We met Daddy at the Salt Lake City Airport and went to the Call Family Reunion in Brigham City. 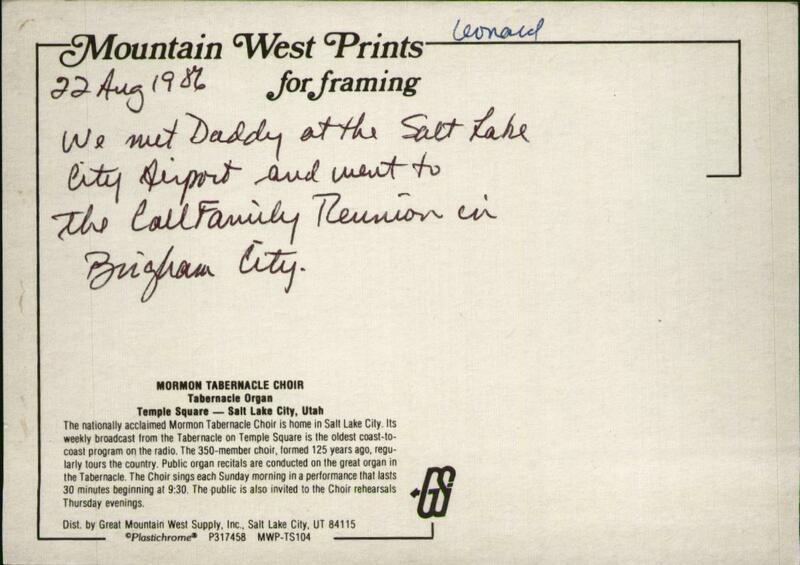 This observation has nothing to do with this particular postcard, but I always find pathos in these Mountain West Prints postcards' (and postcards from other companies) declaration of "for framing"! If you liked the postcard, write in and we can sell you a poster-sized.